Lofts - big open spaces, crude floor and walls and metal elements. First adopters of post-industrial spaces were usually poor artists occupying abandoned factories in industrial quarters. This kind of interiors give a lot of freedom in arrangement. We want you to unleash your imagination and design a perfect loft, a space that tyou would like to live in. Join Evermotion Challenge 2015! Our jury will choose winners according to aesthetics of the project and its technical quality. Start of submissions is on 17th of November. The contest ends on 26th of January. You should post your work and WIP images no later than on 26th of January. 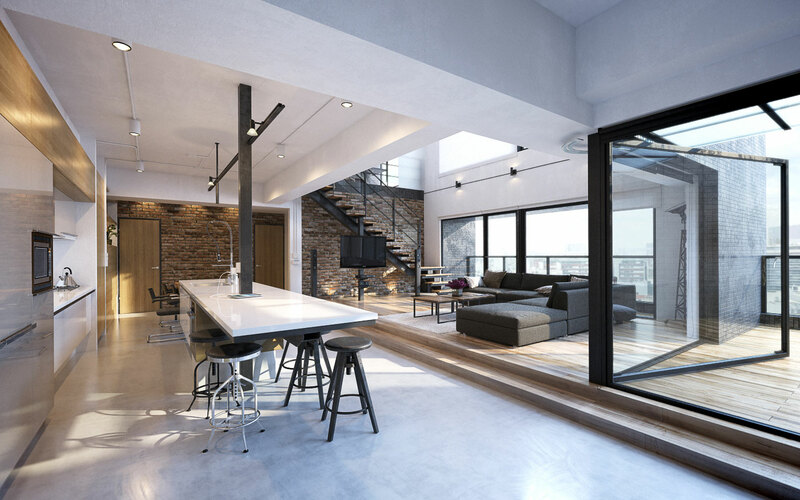 The theme of the contest is to create a visual representation of your loft interior. In the contest will be judged both idea and execution of the project. Unleash your imagination! I'm in! How to apply? You need to register or login and make a new thread in this forum thread: Whola Lotta Loft! - Challenge 2015. First you need only to claim your access, but until Evermotion Challenge ends (26th of January 2016), you will have to post a few "Work in Progress" renders and the final work. Work has to be genereted in 3d software. You can use every 3D software you want, post processing inside Photoshop or other 2D software is allowed. Don't forget to write about software you used in your challenge thread. Oh boy! Can I have two (or more)? Sorry, multiple entries are not allowed.